Jan 15 You show the lights that stop me turn to stone. Little Me wears: An Oh My Love jumper*, a pretty Ever Ours dress* and Ash boots. 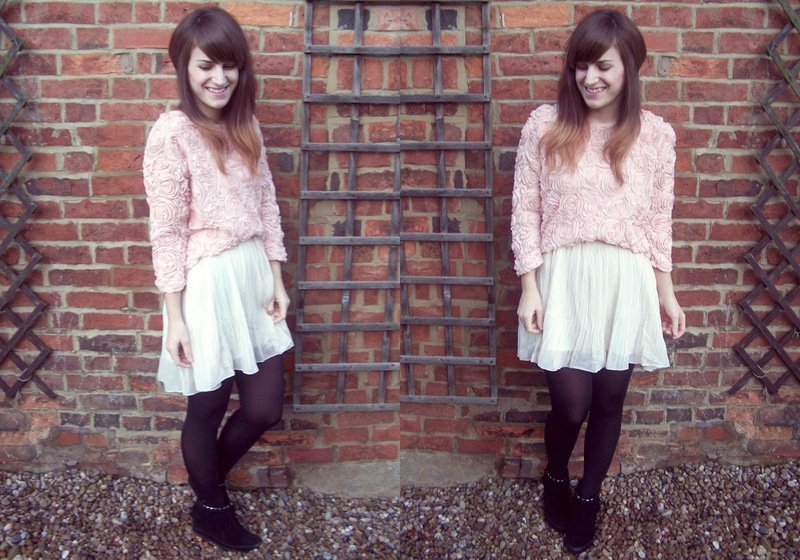 Today is all about pink and cream. And pleats. Because every once in a while it's OK to mix all your pleats and pinks and have a bit of a girls day. And my that I mean that I sure looked the snazziest when cleaning the house this morning! Once we'd eaten our hot cross buns and finished our warm drinks, we headed out for some fresh air in our town which was really quite nice. Except, I must invest in snow shoes! Jan 17 Let's make the world spin round like before. Jan 14 Two birds on a wire, one tries to fly and the other.